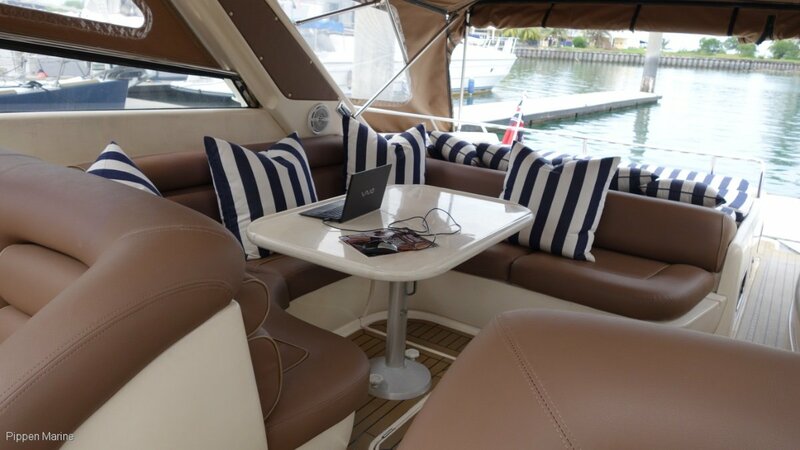 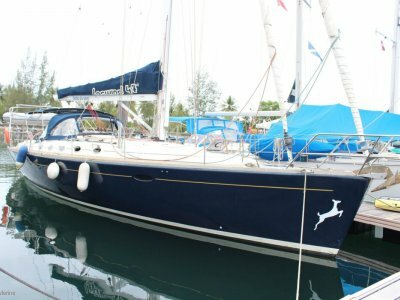 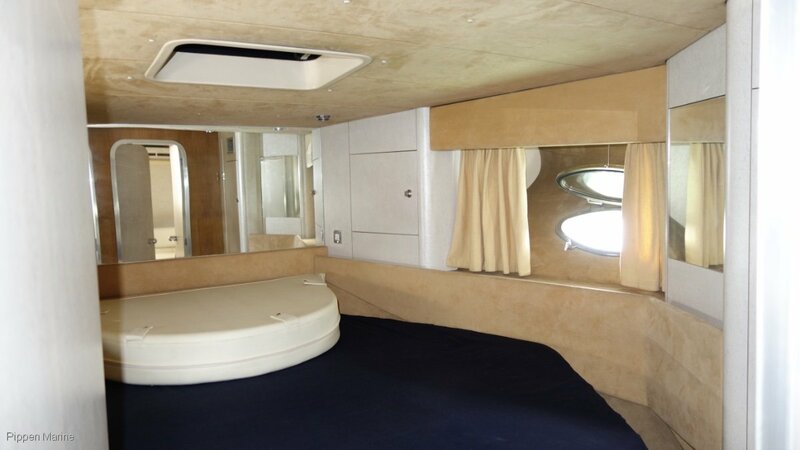 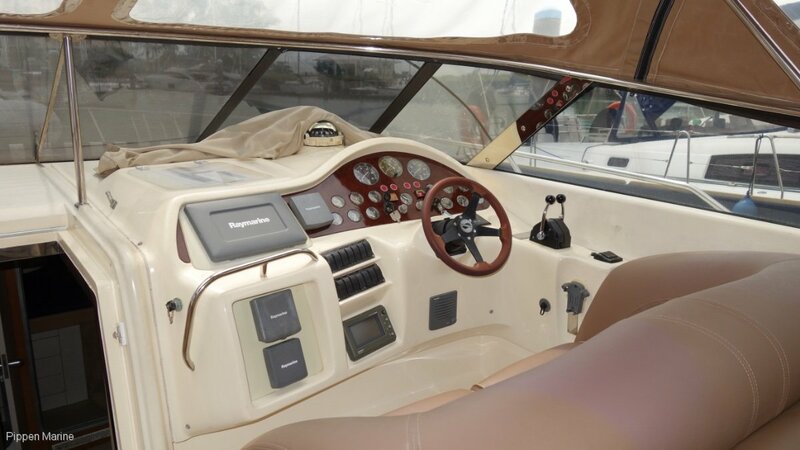 The Sunseeker Camarque 46 sports cruiser offers generous cockpit area for entertaining, comfortable below deck living with fully equipped galley, air-conditioned cabins, one double and one twin cabin, with ensuites, boat speeds capable up to 27 knots with tankage giving an approximate 180nm range. 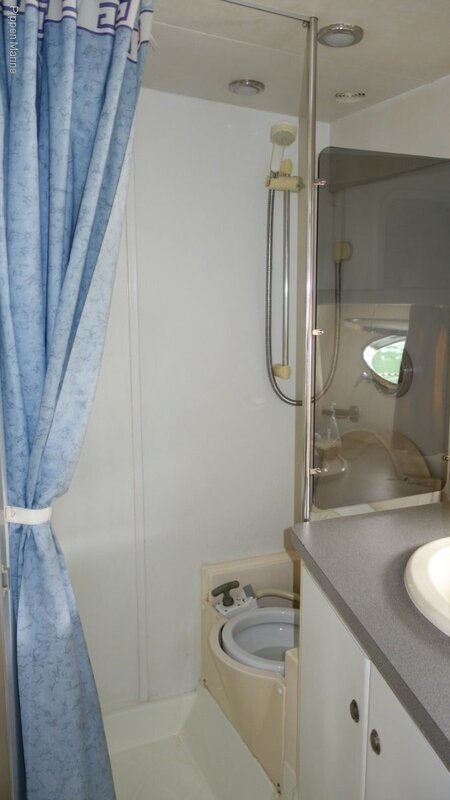 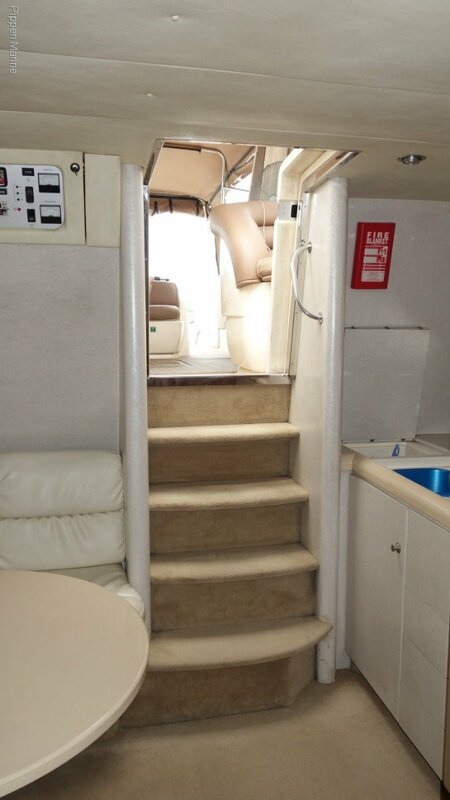 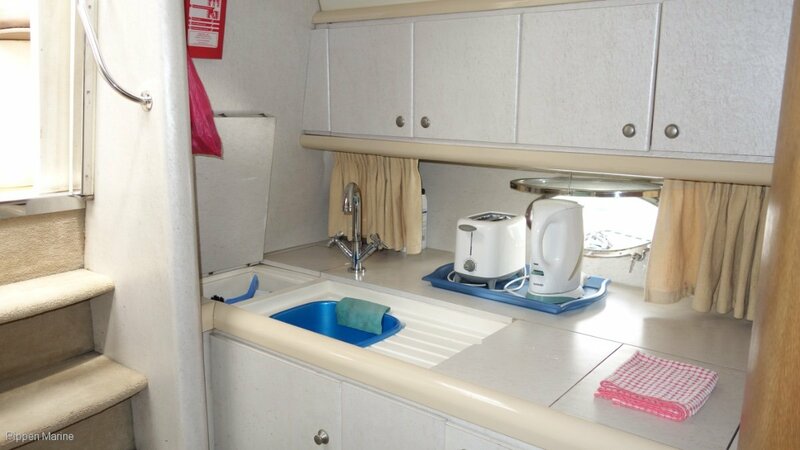 With less than a metre of draft allows for comfortable access to those beautiful beaches! 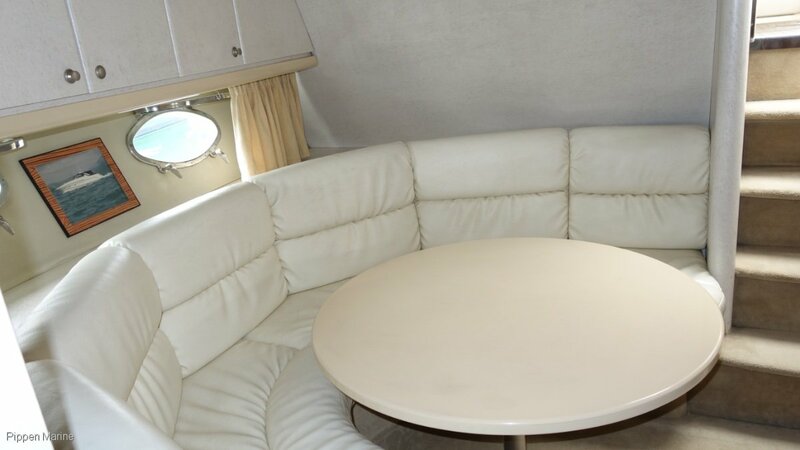 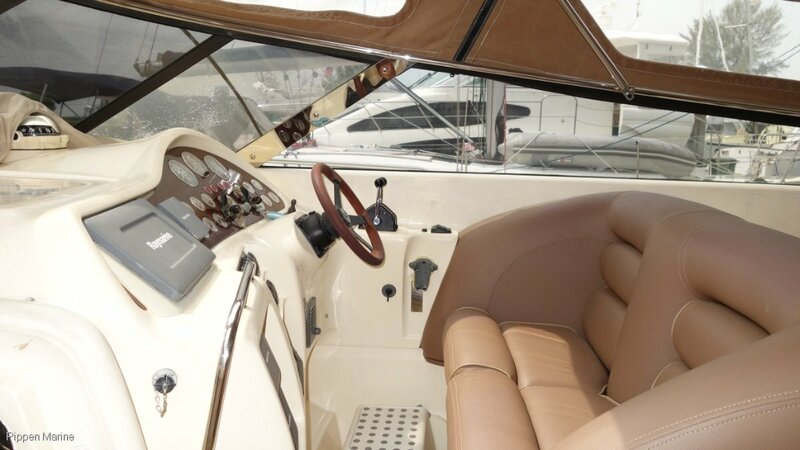 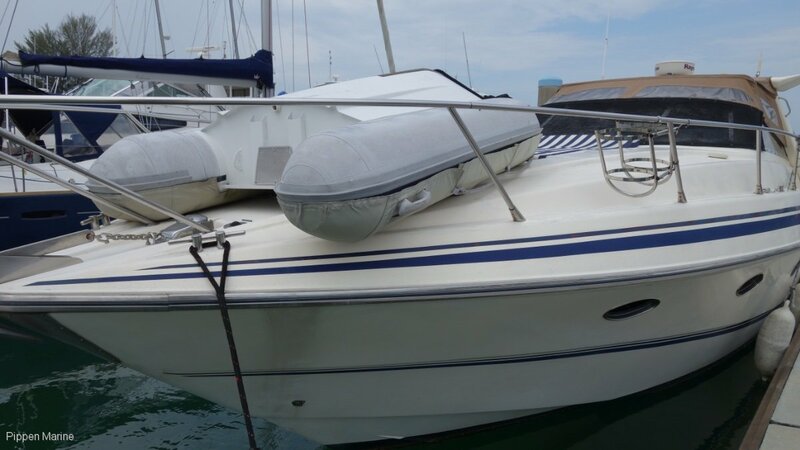 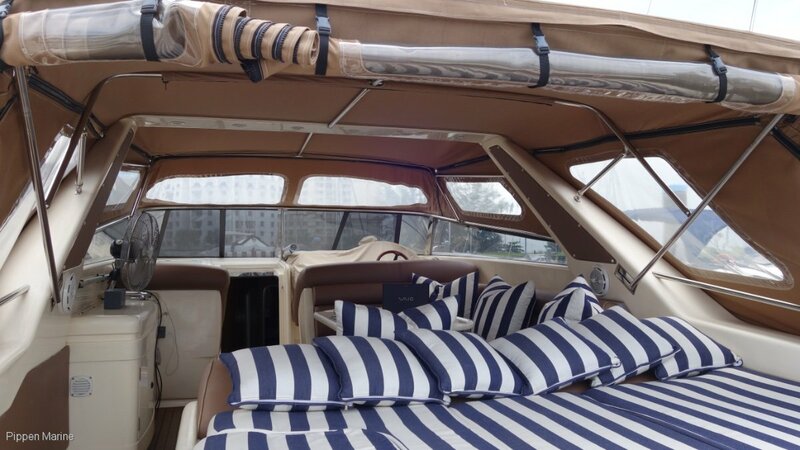 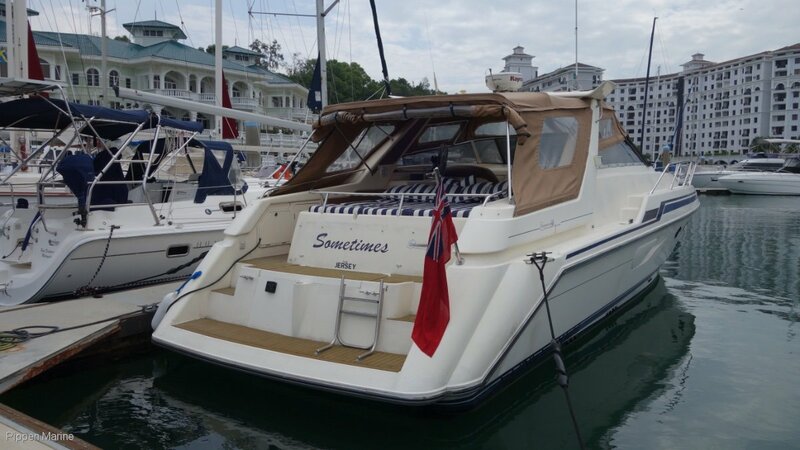 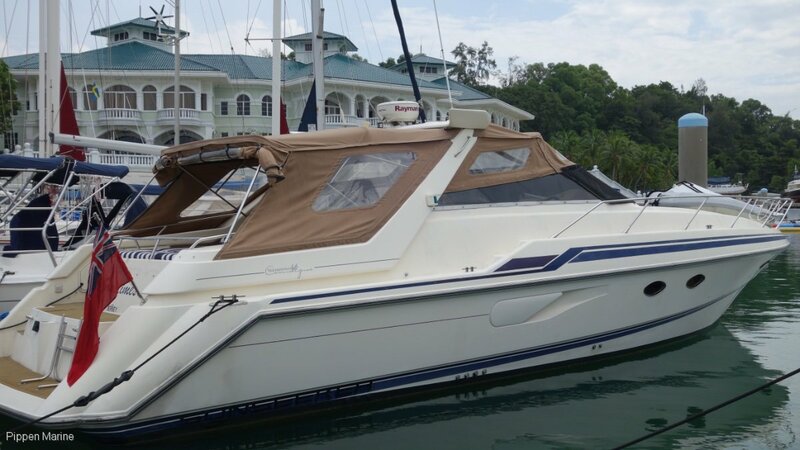 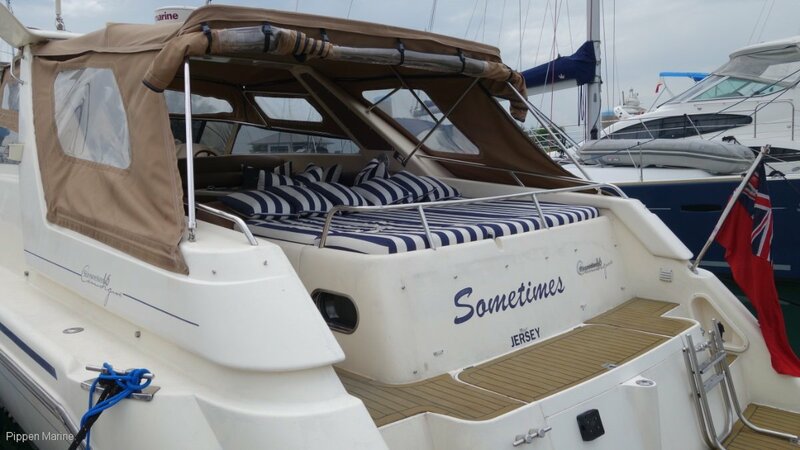 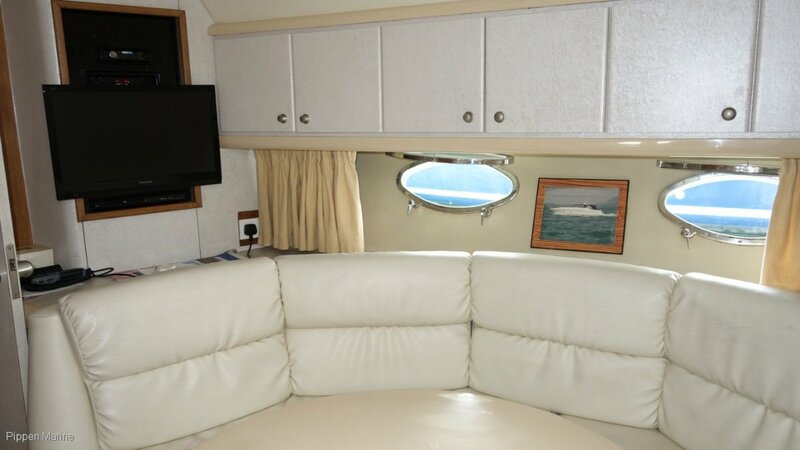 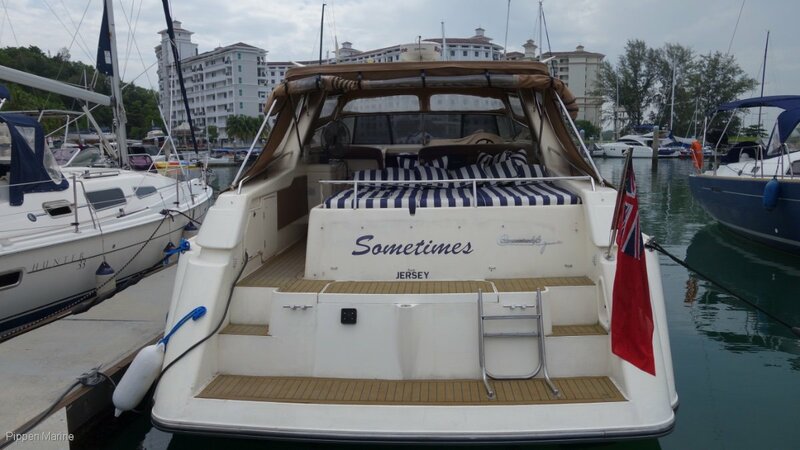 This example of the Sunseeker Camarque 46 has been privately owned and operated and is presented in well maintained condition. 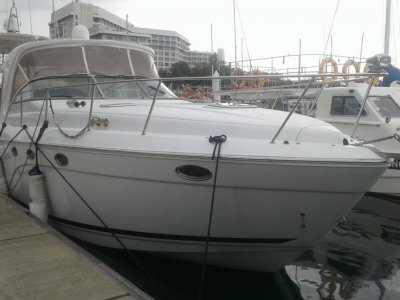 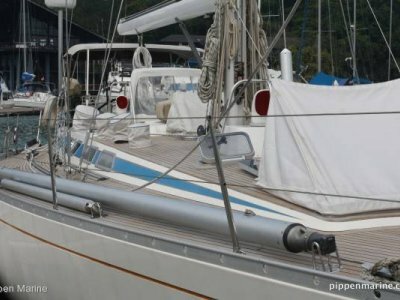 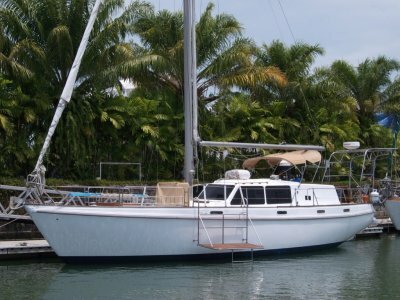 Contact Pippen Marine for further information and arrangements for inspection.